They just celebrated their six year wedding anniversary. 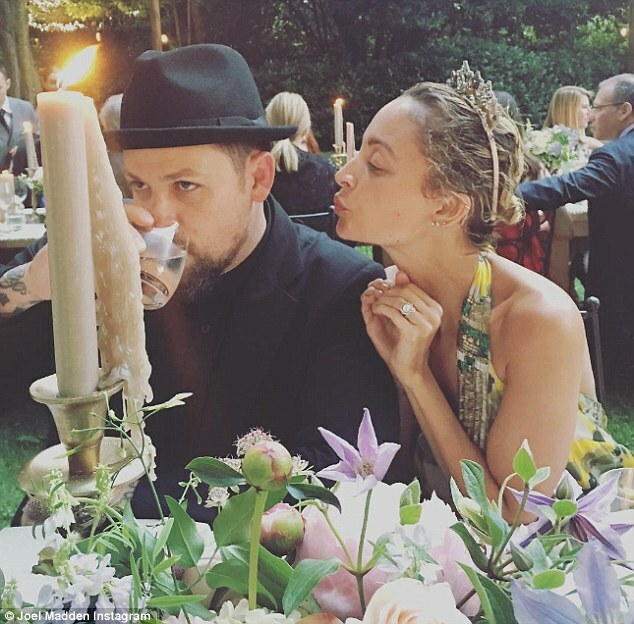 So it's no wonder Nicole Richie and her husband Joel Madden were a little affectionate with each other as they got lunch to-go in Los Angeles on Monday, just one day after their big day. The couple held hands as they strolled outside, both wearing head-to-toe black. We imagine the best thing about having your own fashion label is getting first dibs on all the stylish designs! 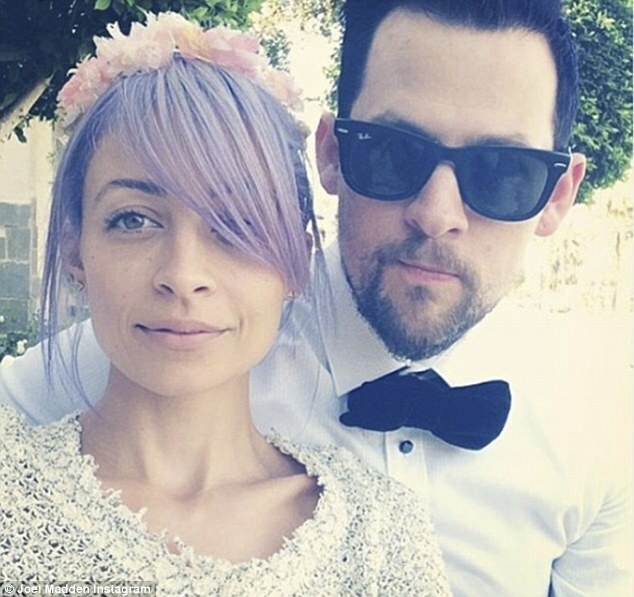 So it's no surprise to see Nicole Richie championing her own brand House Of Harlow 1960. Unless you've been hiding under a rock recently, you'll be well aware that duster coats are a huge trend and we love this chic striped design from the House Of Harlow 1960 x Revolve collaboration. Featuring sheer material off-set with velveteen stripes, it's perfect for adding a luxe spin to your everyday ensembles. It would also work really well as an evening cover-up. Click right to steal Nicole's style and nab it for yourself or shop more duster jackets in our edit below. Get a luxe-looking velvet number from Eileen Fisher, try Missguided's chic satin and lace designs or keep it simple with Monki's classic offering. Nicole, 35, wore a large pair of sunglasses, a graphic print shirt, and semi-sheer duster. The star, who is the daughter of Lionel Richie, had her blonde hair pulled back into a neat little updo, and finished off her look with a large tote and a pair of Converse sneakers. Joel, 37, meanwhile, wore a windbreaker vest, black T-shirt, hat, and sweatpants. Just one day earlier, the rocker posted a sweet throwback photo of themselves in honour of their six year wedding anniversary. The photo was of a violet-haired Nicole as she wore a pink flower crown beside her sharply dressed husband. Together Nicole and Joel have two children - Harlow, aged eight, and Sparrow, aged seven. In 2010 she told Oprah of the easiest and hardest aspects of her marriage: 'We met and we were partners from day one. And from the second we found out we were going to be parents together, we looked at each other and we said, "OK, both of our parents are divorced. We both have had ups and downs with our parents and we don't really have a strong example of what a healthy family life is."